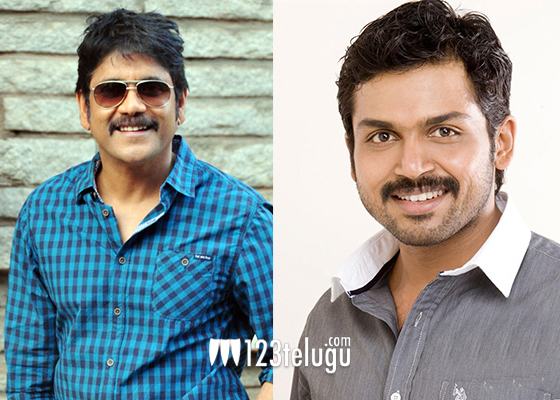 Nagarjuna, Karthi to romance single heroine in their next ? 123telugu had recently reported that Nagarjuna and Karthi are teaming for an upcoming multi-starrer film. The latest buzz is that this film will have only one heroine and currently the unit is busy in search of a suitable lady for this film. Vamsi Paidipally, who previously directed Munna, Brundavanam and Yevadu is set to helm this project which is currently in its pre-production stage. Renowned production house, PVP will be producing this multi-statter in both Telugu and Tamil simultaneously. Keep watching this space for more updates on this project.